This article is about European political party. For the European Parliament Group, see Alliance of Liberals and Democrats for Europe group. For the transnational political alliance, see Alliance of Liberals and Democrats for Europe. The Alliance of Liberals and Democrats for Europe Party (ALDE Party) is a European political party mainly active in the European Union, composed of 60 national-level liberal parties from across Europe. On 26 March 1976, it was founded in Stuttgart as a confederation of national political parties under the name Federation of Liberal and Democrat Parties in Europe and renamed European Liberals and Democrats (ELD) in 1977 and European Liberal Democrats and Reformists (ELDR) in 1986. On 30 April 2004, the ELDR was reformed as an official European party, the European Liberal Democrat and Reform Party (ELDR Party). The ALDE Party is affiliated with the Liberal International and a recognised European political party, incorporated as a non-profit association under Belgian law. On 10 November 2012, the party chose its current name of ALDE Party, taken from its European Parliament group, the Alliance of Liberals and Democrats for Europe (ALDE), which had been formed on 20 July 2004 in conjunction with the European Democratic Party (EDP). The ALDE parliamentary group is led by Guy Verhofstadt, a former Prime Minister of Belgium. Prior to the 2004 European election the party had been represented through its own group, the European Liberal Democrats and Reformists (ELDR) Group. As of 2018[update], ALDE is represented in European Union institutions, with 68 MEPs and 5 members of the European Commission. 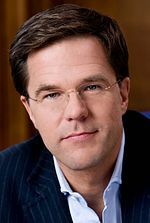 Of the 28 EU member states, there are eight with ALDE-affiliated Prime Ministers: Mark Rutte (VVD) in the Netherlands, Xavier Bettel (DP) in Luxembourg, Jüri Ratas (Estonian Centre Party) in Estonia, Charles Michel (MR) in Belgium, Marjan Šarec (LMS) in Slovenia, Juha Sipilä (KESK) in Finland, Andrej Babiš (ANO) in the Czech Republic and Lars Løkke Rasmussen (Venstre) in Denmark. Liberals are also in government in four other EU member states: Croatia, Romania, Latvia and Lithuania. ALDE's think tank is the European Liberal Forum. The youth wing of ALDE is the European Liberal Youth (LYMEC), which is predominantly based upon youth and student liberal organisations but contains also a small number of individual members. LYMEC is led by Vedrana Gujic (HNS, Croatia), who was elected for a two-year term as LYMEC President in May 2014, and counts 200,000 members. Pan-European liberalism has a long history dating back to the foundation of Liberal International in April 1947. On 26 March 1976, the Federation of Liberal and Democrat Parties in Europe was established in Stuttgart. The founding parties of the federation were the Free Democratic Party of Germany, Radical Party of France, Liberal Party of Denmark, Italian Liberal Party, Dutch People's Party for Freedom and Democracy and Democratic Party of Luxembourg. Observer members joining later in 1976 were the Danish Social Liberal Party, French Radical Party of the Left and Independent Republicans, British Liberal Party, and Italian Republican Party. In 1977, the federation was renamed European Liberals and Democrats, in 1986, European Liberal Democrats and Reformists. It evolved into the European Liberal Democrat and Reform Party (ELDR Party) in 2004, when it was founded as an official European party under that name and incorporated under Belgian law at an extraordinary Congress in Brussels, held on 30 April 2004 the day before the enlargement of the European Union. At the same time the matching group in the European Parliament, the European Liberal Democrats and Reformists Group allied with the members of the newly elected European Democratic Party, forming the Alliance of Liberals and Democrats for Europe (ALDE) with a matching ALDE Group in the European Parliament. On 10 November 2012, the ELDR Party adopted the name of the alliance between the two parties, in order to match the parliamentary group and the alliance. ^ as "Federation of Liberal and Democrat Parties in Europe"
^ "European Liberal Democrats change party name to ALDE Party | ALDE Party". Eldr.eu. Archived from the original on 13 February 2013. Retrieved 23 September 2013. ^ "Members of the Bureau | ALDE Party". Aldeparty.eu. Retrieved 5 April 2018. ^ a b Dimitri Almeida (2012). The Impact of European Integration on Political Parties: Beyond the Permissive Consensus. Taylor & Francis. pp. 102–103. ISBN 978-1-136-34039-0. Wikimedia Commons has media related to Alliance of Liberals and Democrats for Europe Party.